Turkey is a secular state, but its legislative system still bears the traits of Islamic influence in some areas. Its stance towards gambling is one of these. Over the past decades, gambling laws have been continually tightened in the country. Land based gambling was outlawed in 1998 following the murder of the ‘casino king’ Ömer Lütfü Topal in 1996. The casino industry was targeted by the ban due to accusations of money laundering. In the following years, online gambling operators started to thrive, but these were banned too a decade later, in 2007. In 2013, Turkey tightened its control over unregulated online gambling further with increasing penalties for gambling related offences as well as exposing the sector to thorough scrutiny. The new legislation does not only impose harsher monetary fines and prison sentences on operators of online gambling sites, but penalizes those who play on these platforms as well – an act previously not criminalised by any regulations pertaining to online gambling. The fines imposed on players of illegal platforms are between 100k-500k Turkish lira (US $55k to $278k)*, which is quite a lot, especially in a country with a median annual income of less than $6k. 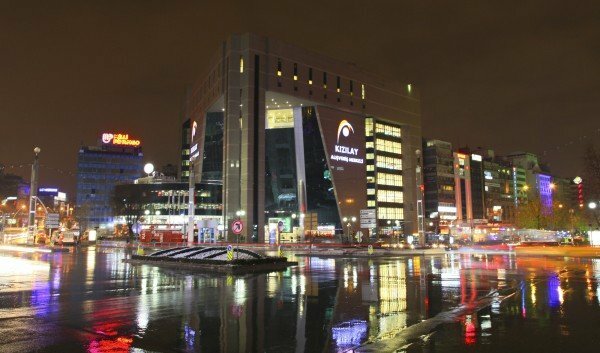 According to the new legislation, Turkey’s Telecommunications Authority is responsible for blocking illegal websites and the Banking Regulation and Supervision Agency is trusted with the prevention of the use of banking services and transactions, including bank and credit cards, for illegal online gaming. and the national lottery firm Milli Piyango which was privatised in 2015, bought by ERG-Ahlatcı for $2,75 billion*. Despite all forms of online gambling not conducted by the state are illegal, only a few foreign operators accept players from Turkey. Players, if caught, face a hefty fine since 2013. However, to this date, no players have been fined. Some players use VPN for extra safety and anonymity. The government is after the organizers not the players, nevertheless, gamble online at your own peril. Brick and mortar casino gambling was outlawed in Turkey as early as 1997. Before that, the casino industry thrived with an estimated yearly turnover of $1bn and approximately 20,000 people employed by the sector. Much of the casino gambling went underground after that, the state put serious efforts into enforcing the laws in this area. Online gambling was first outlawed in 2007 and regulations were further tightened in 2013. Operating online casinos in Turkey, even from abroad is a criminal offence and is punishable by four to six years of imprisonment. Players, if caught, are also looking to pay a fine of US $55k to $278k. Many of the major global online casinos no longer offer their services to Turkish players and even individual players are at risk being prosecuted for playing in an online casino. Land based Bingo is outlawed by the Turkish authorities. It shows just how serious the Turkish government is about the ban, that in 2008, 6 British tourists were actually arrested and fined for organising a game of charity Bingo in the popular tourist city Altinkum*. Online bingo too is considered illegal. Many foreign sites are blocked and players face a hefty fine if caught. Most online Bingo sites don’t even let players from Turkey register. I do not know any online bingo websites, that would accept players from Turkey. Land based Poker was prohibited alongside all other casino games in 1998, when casinos were outlawed by the authorities as potential venues for money laundering operations. The 2013 legislation stroke down on online poker sites harder than before as well. Legally, Turkish residents cannot play poker neither online, nor offline. Some of the major online poker platforms still allow players from Turkey to register. I don1t know any online poker website, that would accept players from Turkey. Sports betting is a state monopoly in Turkey and the only legal betting opportunities are the ones offered on the state-run horse tracks of the country and the IDDAA sports betting game. All of these sports betting companies are owned and controlled by the state. Horse racing is huge in Turkey and betting on races is extremely popular, even though the total takeout rate is a stunning 50% (highest in the world). The Jockey Club of Turkey, the organisation conducting all the races is taking a 22% cut from all wagers and the government another 28%, in the form of taxes. Despite all this, Turks wagered the Turkish Lira equivalent of $1.49 billion on horse races in 2012*. The other legal sports betting venue, IDAA is also very popular and you can even make bets online on their website. The fact, that the government seeks to privatise the company behind the game, Sports Toto for $10 billion along with the Horse Racing Authority shows just how profitable these operations are. Foreign betting sites are illegal and even players of such platforms are heavily penalised, some of these firms still offer their services on the Turkish market and individual players from Turkey are not fined. The Turkish National Lottery is very successful. Probably part of the reason is the lack of competition due to the country’s strict ban on all forms of online and offline gambling. In 2012, the company conducting the lottery, Milli Piyango had a revenue of an estimated 1,8 billion liras (approx. $0,6 billion). It was part of the reason Net Sans-Hitay consortium offered $2.755 billion for the company on the privatisation tender. Although they backed out, the second bidder ERG-Ahlatcı has purchased the company for $2.75 billion. The firm does not have an online platform so far, although this might change after the deal is settled and the national lottery will be run by a private company rather than the state directly. Türkish players can be fined if they purchase lottery tickets from abroad. However, so far, no one has been fined and a few foreign lottery websites and agents are open to Türkish citizens. Bitcoin is legal in Turkey, but banking regulators strongly discourage its use. On the other hand, all forms of online gambling not conducted by the state are illegal, so are foreign Bitcoin casinos. Despite the prohibition, some of these casinos accept players from Turkey and individual players are seldom prosecuted. The risks are even lower using Bitcoin, because it’s a currency that’s completely digital and anonymous. Most forms of online and offline forms of gambling in Turkey are illegal, except the state run horse betting, sports betting and lottery operations. Nevertheless players who frequent foreign online gambling websites (the few which accept Türkish players) are not currently prosecuted.